Would it look great inside or outside the house? Will the gift be fun or useful for them for at least 2 years or more? Will their friends/cousins enjoy the item too? Reason for Pick: Energy buster. Enough…Said… 🙂 **P.S. It adjusts for different age groups. A 3 year old can play with a 7 year old, in balance. Reason for Pick: It is so P-R-E-T-T-Y! If you have a girlie-girl in your life who loves accessories and dress-up, this is THE gift. Not only can it be used for their dress up clothes, this tower can be used as extra clothes storage. The outfits for the week can be hung here! Great way to plan out the week. Reason for Pick: The house would not take up your entire yard and it looks very cute. I love the mailbox and how the windows open out. Reason for Pick: I love how this table extends! Not only will this play table be used for play, I can see this as the kid’s dining table during holiday meals. With the 2 extensions, I can see squeezing in 10 young kids in this table. Love the rounded-edges which means less chances for bumps and bruises. 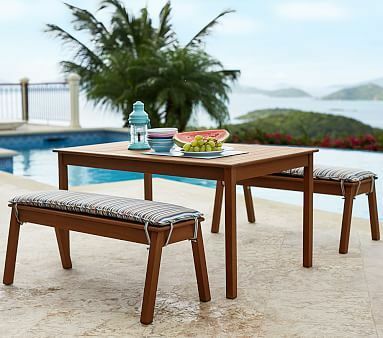 Reason for Pick: This table does double duty! It can be used as a coffee table or play table. Either way, toys can be stored inside this table’s 2 hidden storage drawers. 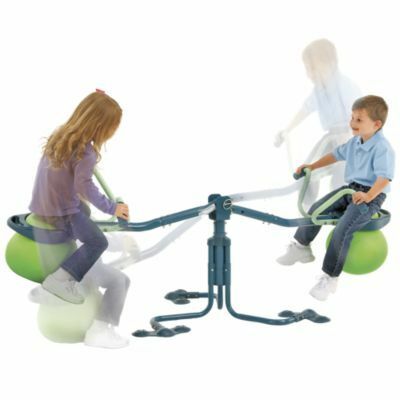 Add some poufs or floor pillows and the kids will love hanging around this table, playing their favorite games. For direct links to the products, please visit my Pinterest Board Here. I know some of the latter gift choices are pretty steep in price. 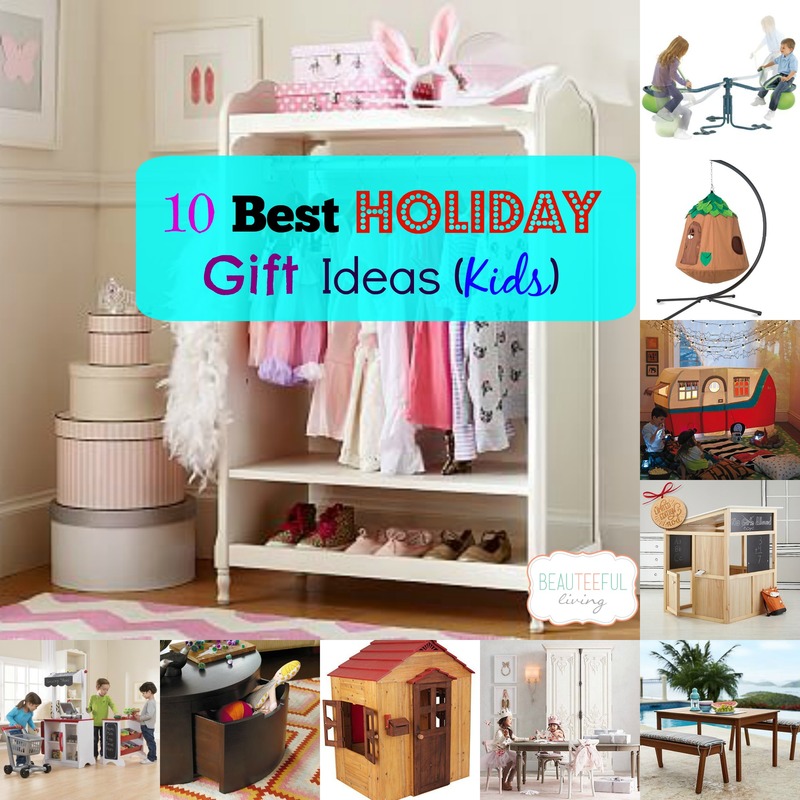 I had to include them because they were some of My Top Picks for Best Gifts for Kids. Perhaps, in a future post, I’ll do a round up of Best Gift Ideas Under $50.00. Did you have a favorite from the 10 picks? 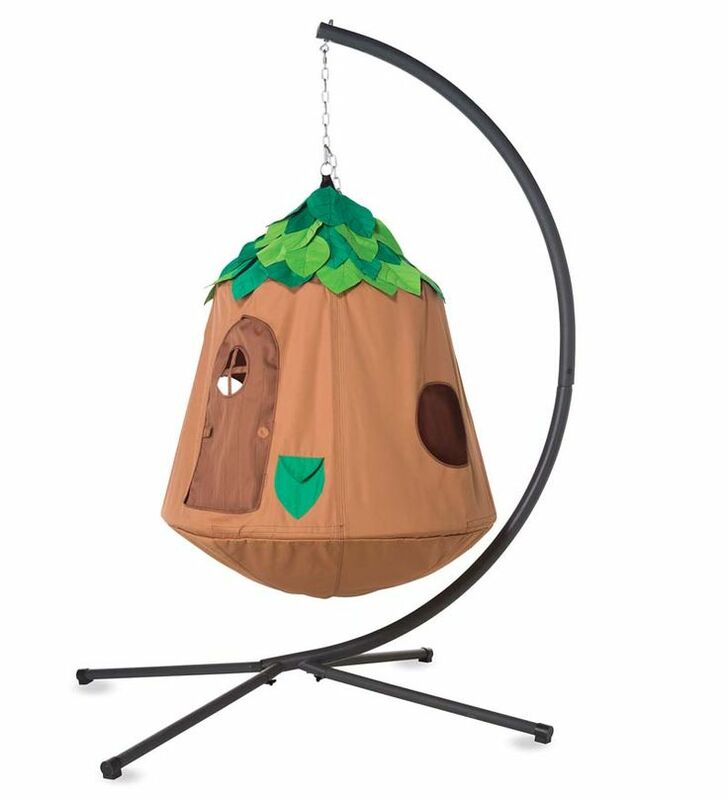 I love that teeter tatter and play tent. How come these cool stuff weren’t around when I was a kid? So unfair. haha. Great collection of gift ideas! 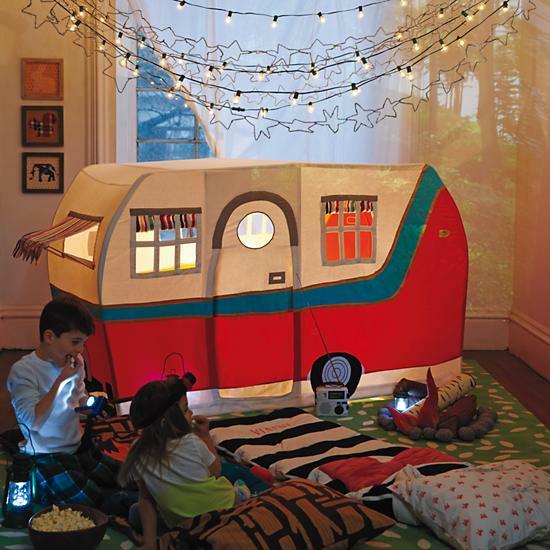 These are so cool, especially that hanging play tent! These are all amazing! My 4 yr old would probably flip for any of them. That hanging tent is the coolest thing! Great picks! My daughter LOVE to play dress up with her brother the dress up station is just perfect. Wow, I love everything here! Wish we had such a variety in South Africa, my daughter is crazy about dress up so I think that dress up station will be perfect for her. AWESOME ideas! I’ll have to keep these in mind when my baby gets older! 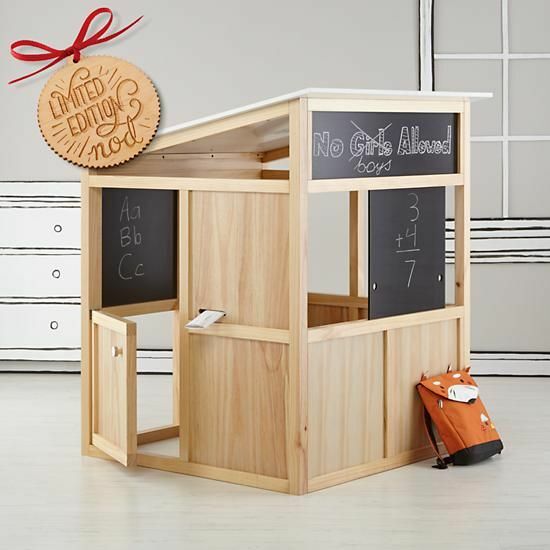 Great ideas – I remember adoring my play kitchen growing up. GREAT review! You have good taste for your children – I love Land of Nod! Seriously thinking about that indoor see-saw and hanging play tent as we are already a foot under snow – it’s going to be a loooong winter! Love the dress up closet idea. That would be great in our basement since dress up is our life 🙂 great ideas !! These are all so fun! My brother and I had a play tent growing up and we used it ALL the time. We would camp out on our living room floor. 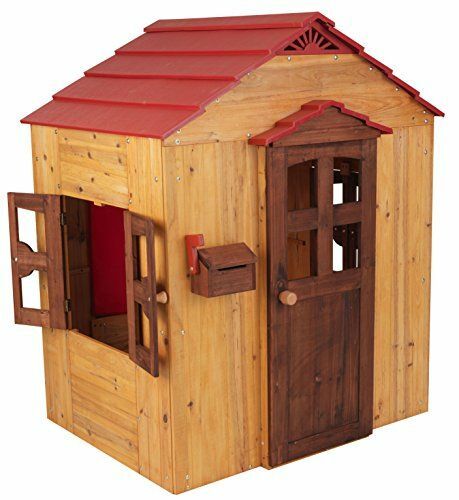 I also would have loved that Play House as a kid! Love these ideas! Definitely keeping them in mind for my stepdaughter and nieces/nephews!! These are wonderful! And so adorable! I love all things kid sized! The little kid picnic table and play shop is so cute! Love these ideas! Especially the teeter-totter and the dress-up station. I love your choices! Clearly we have similar taste. The dress up cabinet/wardrobe is fabulous! These are all such cute ideas.. I am obsessed with the land of nod! These are great ideas!! And those questions are very good things to think about. These are so creative and seem like so much fun. Wow, these gifts are AMAZING! I wish I would’ve had some of these when I was a kid! I know my kiddos would love just about everything on here! Great review and thank you for the ideas. I love the hanging tent! We’ve been thinking about an outdoor picnic table for our daughter. We need to do quite a bit of landscaping to our backyard, though, and I’m also up in the air about getting an outdoor gift around wintertime. She’s just now getting to the age where gifts really intrigue her! I’ve been searching yard sales and consignment shops all summer to find this one piece of furniture to make into a dress up closet for my girls. I hope to find one before next Christmas and give it to them as a gift! Thanks so much! Please include your name or just your initials next time :). Thanks for commenting.